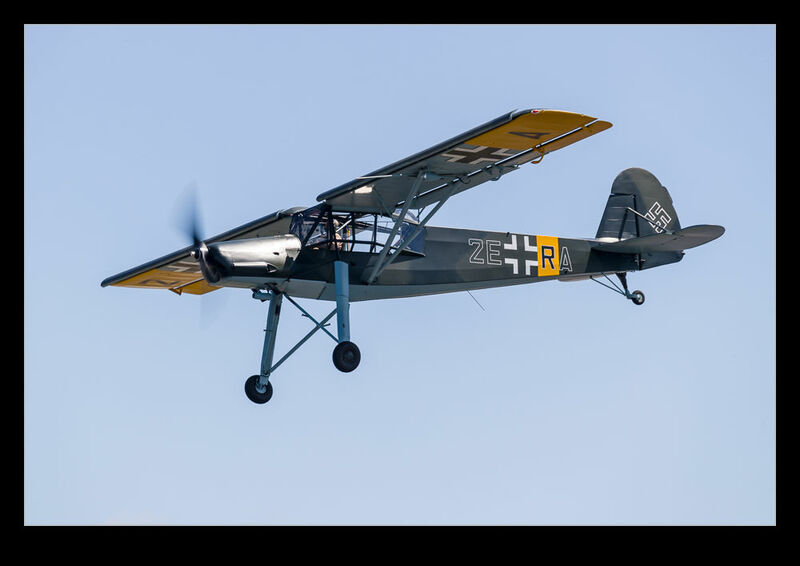 The Fiesler Storch was a most unusual aircraft. It was used for utility purposes and was able to drop in to the smallest of locations and get back out again. Speed was not its thing but it was the one for special missions. I have seen scale versions in private use and some in museums but I am not sure I have ever seen a genuine one fly before. Skyfair included a performance by FHCAM’s example. I got some shots of it airborne although the dark paint scheme was not ideal on a sunny day. When it came to take off, I figured stills would not show anything about the performance so I switched to video. This allows you to see just how quickly and easily the slatted wing lifted the plane off the ground. 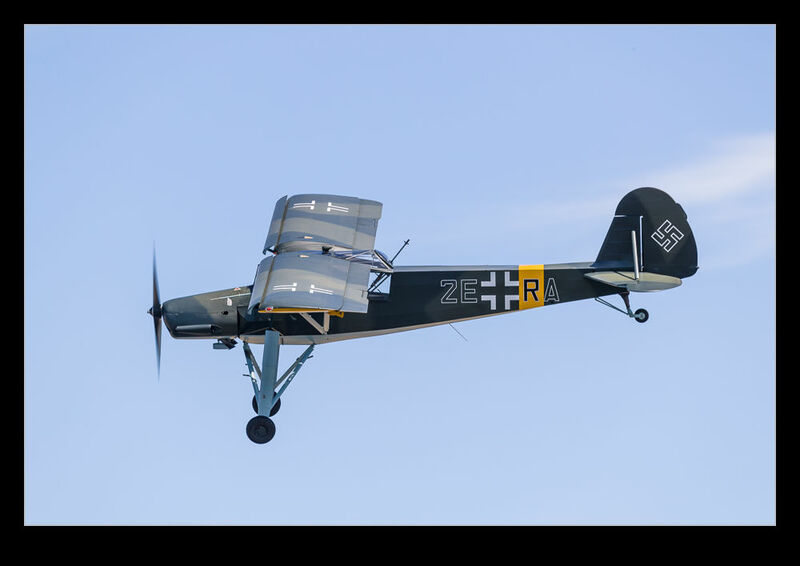 This entry was posted in aircraft, military, Pacific Northwest, photo, video, vintage and tagged aircraft, airplane, Everett, fhcam, fiesler, kpae, military, Paine Field, photo, piston, Skyfair, storch, video, vintage, Warbird, washington. Bookmark the permalink.